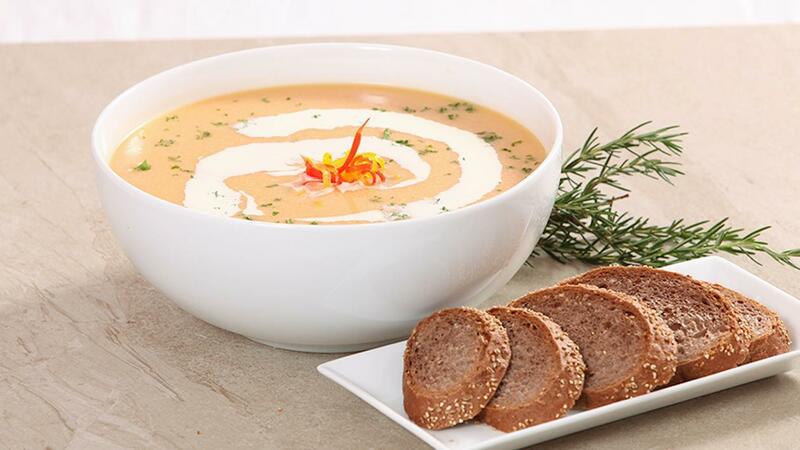 This hearty soup of roasted mix bell pepper is a real soul warmer; super easy and delicious – thanks to Knorr soup base. View the recipe below. Add mix peppers and allow to pot roast for another few minutes. Add water & mixed with Knorr Soup Base Mix and stir well. Finally mix with the cream and garnish and served hot.